The Israeli government has backed the construction of nearly 1,200 new apartments for Jewish settlements in East Jerusalem and the West Bank, just three days ahead of scheduled peace talks with Palestinians. Israeli Housing Minister Uri Ariel, a member of the ultranationalist Jewish Home Party, said in a Sunday statement that in order to meet the needs of Israeli citizens, more apartments are going to be built in the West Bank and East Jerusalem. 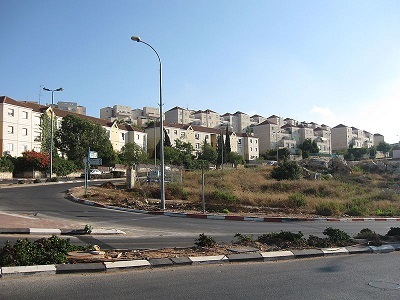 Israel’s Housing Ministry announced that tenders for 793 new apartments in East Jerusalem and 394 units in the West Bank settlements of Ariel, Efrat, Maale Adumim, and Betar have been issued. The land was occupied by Israel in 1967. Considered illegal by most world powers, Israeli settlement construction on previously occupied Palestinian land regularly serves as a major stumbling block in peace talks with Palestinians. The last direct talks between Israel and the Palestinian Authority collapsed in 2010 because of Israel’s illegal settlement activities. Palestine’s chief negotiator Saeb Erekat said on Sunday that the announcement of more new homes in Jewish settlements is a deliberate attempt to scupper peace talks, which are due to resume on Wednesday. Although he was optimistic about new talks with Israel, Erekat warned that the Palestinians’ patience with settlements was running out. “If the Israeli government believes that every week they’re going to cross a red line with settlement activity, if they go with this behavior, what they’re advertising is the unsustainability of the negotiations,” he told Reuters. “The international community must stand with this peace process and must stand shoulder to shoulder with us and hold Israel accountable for its continuing settlement activities,” he added. Israeli media reported that the housing plans had been disclosed to Washington in advance and had been made to overcome opposition within the right wing pro-settlement cabinet to previously agreed upon Palestinian prisoner releases. The release of 104 long-term prisoners was agreed upon in order to move toward renewed peace talks. Palestinian President Mahmoud Abbas demanded the release of prisoners who have been behind bars since before the 1993 Oslo peace accords took effect. The release of the first 26 inmates is due to take place on Tuesday. An Israeli cabinet committee is meeting on Sunday to finalize the list of prisoners who will be freed. The Palestinian Authority wants a sovereign state and insists on a two-state solution under the 1967 borders. 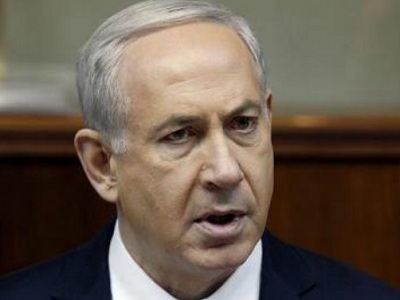 They do agree that some Israeli settlements could stay – on condition of certain land swaps. Israel wants a final arrangement which will fix the current situation with occupied lands for its security needs. Tel-Aviv rejects the 1967 borders and refuses Palestinians “the right of return” to their land. Today, more than 100 Israeli settlements in East Jerusalem and the West Bank are home to some 560,000 Israelis living among 2.5 million Palestinians.